Riding Metrobus Transit is easy with your m-Card! Our m-Card is an interactive smart card that we use to handle all of our fare media, except for cash fares. The m-Card is the same size as a credit card. When a customer boards a bus, he or she simply holds the card in front of the on-board reader to the pay the fare. The reader recognizes what type of fare or pass is on the card and approves or denies the ride electronically. Because it's a smart card, you keep using the same card, week after week, month after month. Value is added to the card by the user at any of our sales outlets. In addition, you can add value to your card online at metrobus.com. Use your m-Card and collect AIR MILES® reward miles. More details at mcard.metrobus.com. Earn AIR MILES® reward miles by riding with your m-Card! Metrobus operates with an exact cash fare policy - Drivers do not carry change. m-Cards can be purchased and reloaded at specific sales outlets listed below or click here to purchase on-line. There is a one-time $5.00 fee on new m-Card activations. New m-Cards must be activated with a ride or dated pass at time of purchase. *Student Semester Passes are restricted to students registered in post-secondary studies. Student identification is required. With a 10-Ride Card, it's like buying 9 cash rides and getting the 10th ride for free! Student Semester Passes are restricted to students registered in post-secondary studies. Student identification is required. Monthly Passes are usually available for purchase at our sales outlets by the 20th of the month. For example, a May pass will be available for purchase by the the 20th of April. 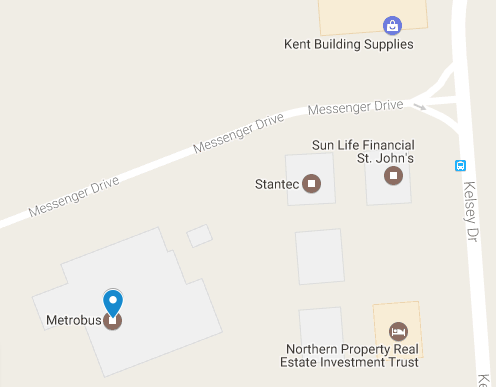 Debit cards (Interac), VISA, Mastercard and American Express are accepted at the Metrobus Customer Service Centre, 25 Messenger Drive and for on-line purchases. Cash is also accepted at the Metrobus Customer Service Centre.